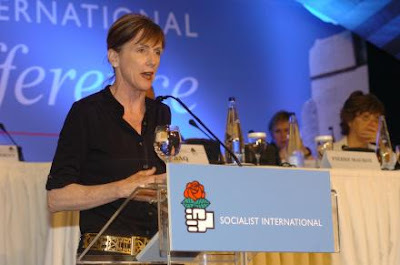 The US blogosphere is abuzz with the news that president-elect Barack Obama's pick for Energy, Environment Coordinator (Enerrgy Czar)-Carol Browner, has ties to the Socialist International. This comes after after revelations that Obama's proposed Labor Secretary Hilda Solis also has ties to Socialist International and to it's US affiliate the crypto Marxist Democratic Socialists of America. Further to that, a senior member of Obama's economic transition team, former number two man in Congress, David Bonior has also been confirmed as a member of Democratic Socialists of America-an organisation which has consistently supported Obama throughout his career. Browner's membership in a senior SI body should not be downplayed. While once the SI was staunchly anti-communist this has changed dramatically in recent years. 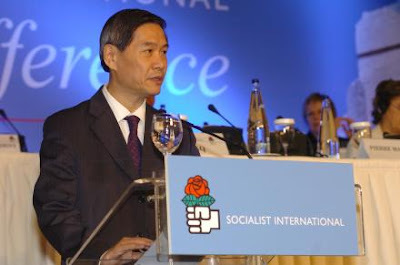 Since the fall of communism, several former and "still existing" communist parties, including those of Laos, Cuba and China, now actively participate in the International. In many ways, the SI has replaced the old Communist international as a key driver of socialist change. While active on the international stage Carol Browner certainly doesn't neglect domestic politics. Earlier this year Ms Browner endorsed Barck Obama through her leadership position in the League of Conservation Voters. 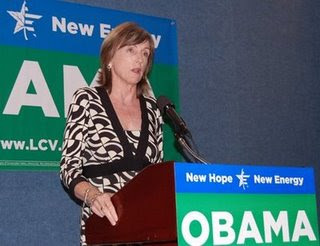 Though living in Maryland, Carol Browner also donated to the 2006 Senate campaign of long time Vermont Congressman Bernie Sanders. 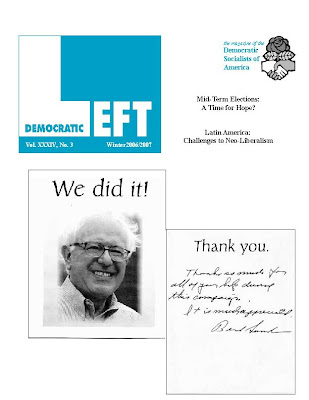 Bernie Sanders began his political as a student in the Chicago Young Peoples Socialist League and has long supported communist and socialist front activities. Though nominally independent, Sanders caucuses with the Democrats and was a key founder of the now more than 80 strong alliance of leftists Congressmen (and Senator Sanders) the Congressional Progressive Caucus. Sanders is openly socialist and has worked closely with Democratic Socialists of America for years. Like Hilda Solis and David Bonior, Sanders has attended DSA conferences and the organisation openly supported and financed Sanders' successful Senate campaign. Which Sanders graciously thanked them for. Then Illinois Senator Barack Obama also backed Bernie Sanders' Senate campaign. Isn't it great, the way socialists are always helping people? Hello! just found that # 80 right here ! I could not recall where I saw it. Gteat job Trevor.